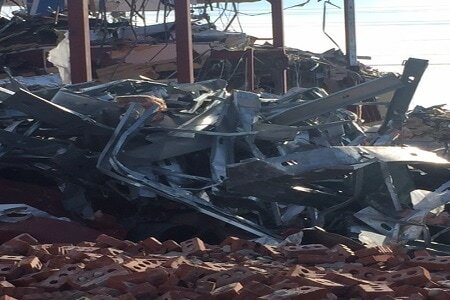 Demolition materials such as iron, metals, plastics, asphalt, rubber, brick, wood, ceramic and granite often end up in the wrong place; land-fill sites. With proper planning and consideration for the environment, there is no reason that a cohesive plan for recycling and recovery shouldn't be firmly in place. 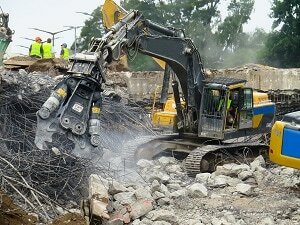 We consider all forms of recycling before we complete any demolition plan as part of our process and responsibility. Any time we can reduce waste and turn demolished materials into a useful and beneficial product, we will do so. It can also play a role in the overall cost of your demolition project in terms of financial compensation, especially where larger buildings are involved. ​We are proud to associate ourselves with conscientious recycling dissemination companies who provide safe transportation of construction, demolition and renovation materials and debris. We take our part in sustaining the future with sound conversion of waste to energy or into raw materials that can be reused. One of the recent developments is rubber tires to roofing tiles, they look great, and last forever, almost. 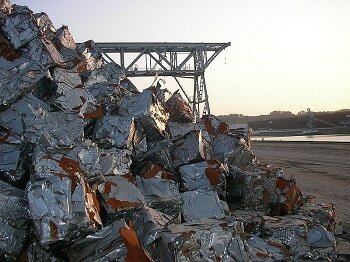 Are you needing some asset recovery or metal recycling work done? 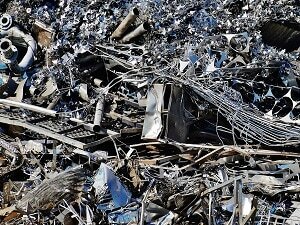 We eat up scrap metal and return profits to you. !